If there were a prejudice tagged young-ism then Justin Bieber would not only be its most severely targeted victim, he would surely have grounds for action in the land s highest court. Cajoled, belittled, made fun of in the most mean-spirited way, and, on occasion, bullied mercilessly, all for the mortal sin of having the talent to get a major record deal at the tender age of 13. But while Bieber as a teenager was treated outrageously in some quarters, and certainly with less respect than any other teen-sensation in living memory, as the boy has developed into a pleasant, intelligent and quite charming not to mention pretty damn hot young man, he has clearly had the last laugh. Fabulously wealthy, one of the world's most successful recording artists and the subject of more attention, nay fantasy, from ladies young, middle aged and old and from certain gentlemen too, Justin Bieber has blossomed into a quite startling performer, songwriter, singer and celebrity whose career is all set to be one of longevity and true substance, unlike so many of his less talented contemporaries. 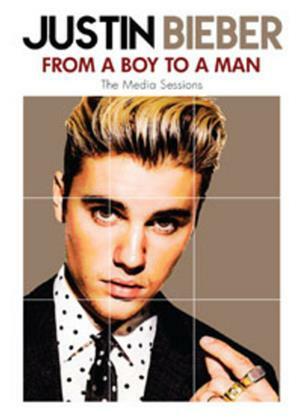 This video collects together film archive of media sessions, interviews, press conferences and other events with Justin in his guise as a mature and charming young man, providing proof positive that his former detractors were wrong and Bieber and his team had it right from the very start.